Arcare Innova Corp. focus on Software development revolution which we named it “ruRU”. 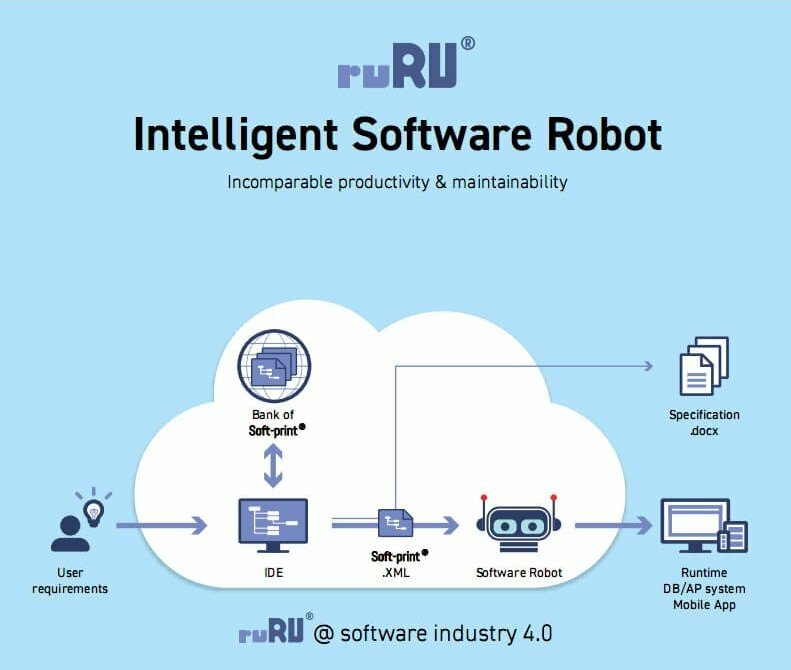 “ruRu” An innovation PaaS which provide enterprise a software development platform service. 1. BOM-based structured detail design documents which contain every detail of system design information called Soft-Print. 2. The Soft-Print can be processed by an auto-generation of software system called Software Robot. The output of Software Robot is an executable system which meet system designer’s specification. 3. An IDE, Integrated Design Environment supports the system design in editing the BOM-based structured detail design documents.